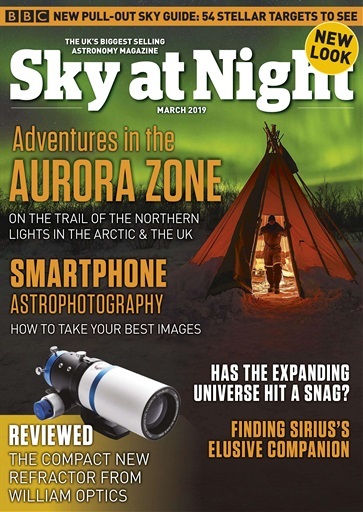 (4 Customer Reviews) | Write Review 12 issues per year Complementing the much-loved BBC television programme, Sky at Night Magazine is your practical guide to astronomy. Each issue features columns by renowned experts such as Sir Patrick Moore as well as in-depth cosmological features, practical observing tutorials, comprehensive equipment reviews, astrophotography master classes and much, much more. 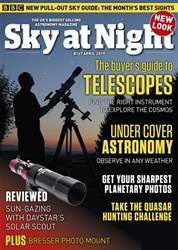 And with easy-to follow star charts and expert advice on how to get the most out of the observing month, Sky at Night Magazine is essential reading for both the novice and experienced astronomer. 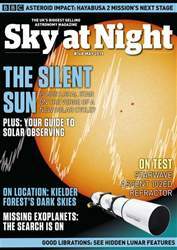 Looking for BBC Sky at Night Magazine in print? Unfortunately pocketmags.com does not sell print copies of BBC Sky at Night Magazine, but all is not lost. Our partner at magazine.co.uk sells print subscriptions at the best prices online. Complementing the much-loved BBC television programme, Sky at Night Magazine is your practical guide to astronomy. Each issue features columns by renowned experts such as Sir Patrick Moore as well as in-depth cosmological features, practical observing tutorials, comprehensive equipment reviews, astrophotography master classes and much, much more. 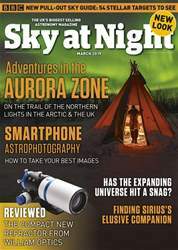 And with easy-to follow star charts and expert advice on how to get the most out of the observing month, Sky at Night Magazine is essential reading for both the novice and experienced astronomer. You'll receive 12 issues during a 1 year BBC Sky at Night Magazine magazine subscription. You'll receive 12 issues during a 1 year BBC Sky at Night Magazine magazine print subscription.